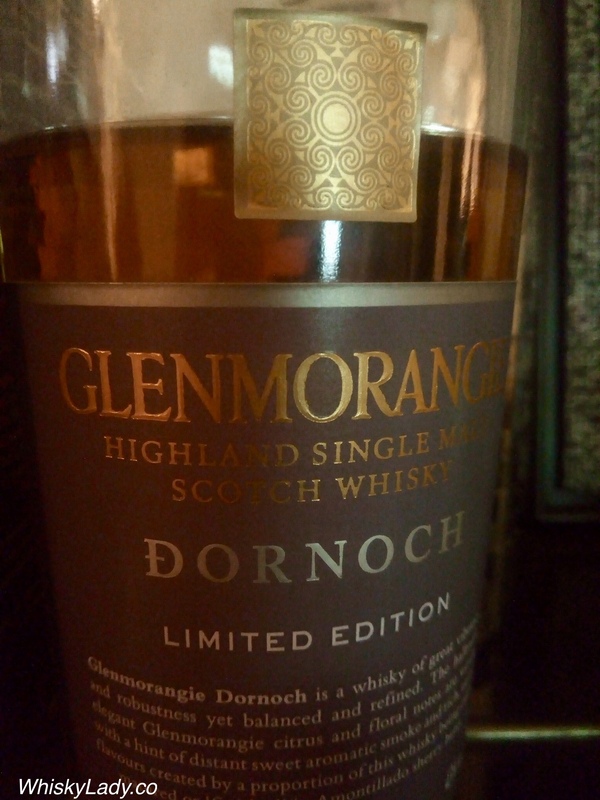 We started our evening with the Highland Glenmorangie… The Dornoch is part of their travel retail range. Overall we found this one simply delivered. Nothing pushy about it – just pleasant and enjoyable. And what do the Glenmorangie folks have to say? Taste: The swirling of under-current of peat adds an unexpected dimension of sweet smoky apples, complemented by vibrant sweet nutty flavours layered upon the rich, warm toffee and dried fruits. While it was the same combination of ex-Bourbon then Amontillado Sherry finish, thankfully it was far superior to The Tayne recently sampled. The touch of smoke added a certain something and substance. 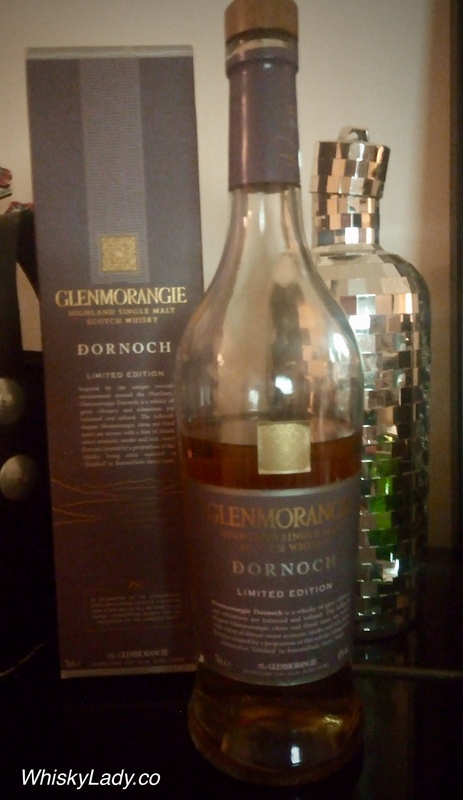 This entry was posted in Highland, Scotland, Travel retail and tagged Glenmorangie, Glenmorangie Dornoch, Travel retail by Carissa Hickling. Bookmark the permalink.